Welcome to Cowan Kirk Kattenhorn – a firm dedicated to the practice of DUI defense in Seattle, Bellevue, and the greater King County area. I'm Doug Cowan, the founder of this law firm. I defended my first DUI in 1969, and what I've learned during 40 years of daily combat in the courtroom is that there is no such thing as a DUI case that can't be won. 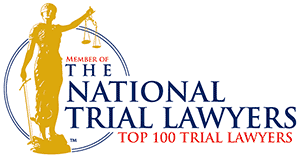 Over the years, my partners, associates, and I have become known for tenaciously defending our clients at every turn. The prosecutors know that I never take the easy way out. When you choose Cowan Kirk Kattenhorn, the prosecution will know that you are prepared to challenge every pillar of their case – and that your attorneys will stand by you every step of the way. In addition to actively practicing DUI litigation in the Seattle and King County area, the attorneys of Cowan Kirk Gaston are also proud to contribute to the practice of DUI law nationwide. I literally wrote the book on how to defend DUIs in this state: Defending DUIs in Washington, a textbook for other lawyers who defend these complicated cases. Each attorney at Cowan Kirk Kattenhorn shares my passion for and dedication to DUI defense law. Bill Kirk, Matt Knauss, and Chris Kattenhorn are all experienced Seattle DUI lawyers who have honed their skills through years in the trenches.